Established in 1990, the 15-acre olive grove called Villa Lucia has grown into a living, breathing entity. Bed and Breakfast, Culinary school, 500-year-old Olive Grove and scene of many weddings…the popularity of Villa Lucia is easy to understand. Countless Americans, in particular, have been charmed by our elegant and unique style of hospitality. Through word-of-mouth referrals Villa Lucia has developed, matured and flourished. Friends, family and international travelers all come to visit, enjoying the authentic Italian experiences and once-in-a-lifetime opportunities that open up in beautiful Tuscany. Our bi-lingual staff are able to overcome any language barriers to keep our guests comfortable. In fact, many of our visitors had such a great time that they come back, resulting in our impressive 80% return rate. 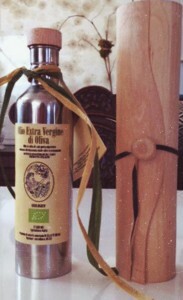 Our Madonna dell Oliva Oil and the amazing food we prepare in our cooking classes may be a factor as well!